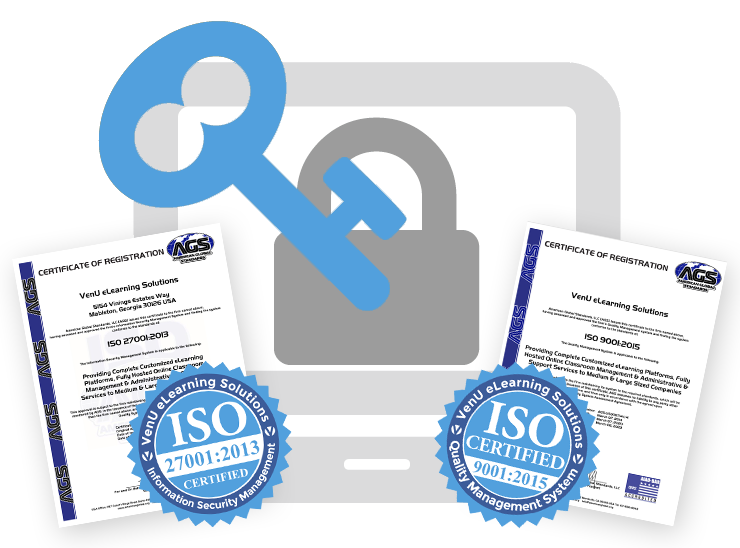 Why are ISO 9001, 27001, and Privacy Shield certifications important for an eLearning company? As a hosted Learning Management System (LMS) provider, VenU wants its clients to be confident and assured that their eLearning solution is secure, reliable, and optimized for performance and functionality. ISO 9001 and 27001, along with Privacy Shield certifications demonstrate that a company has designed and implemented a reliable system of controls to meet the client’s demands for high quality in the products and services it provides. Our ISO 9001 and 27001 certifications ensure our clients that we are working within well-defined, structured processes and by doing so; a level of quality inherent in our products and services is established. While our Privacy Shield certification ensures we comply with EU data protection requirements when transferring personal data from the European Union to the United States or vice versa. Quality Processes and Documented Procedures – Ensures that all business operations are defined, reviewed, and improved – on a regimented, recurring basis to continually increase quality throughout our organization. Increased Security –Documented Security Procedures, Quality Checklists and Continual Process Improvements ensure methodologies for safeguarding data, providing reliable disaster recovery (DR), implementing and updating security practices, and establishing a higher level of reliability and performance. 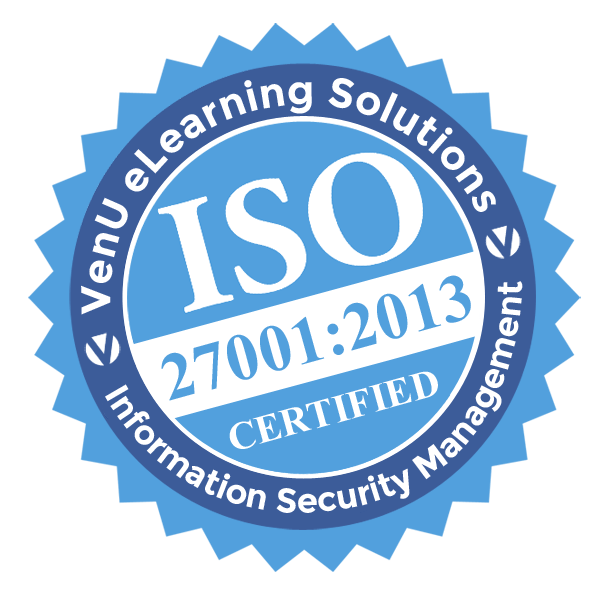 ISO 9001, 27001, and Privacy Shield certifications underpin VenU’s commitment to quality, security, its processes, and continuous improvement. VenU provides affordable enterprise-class Learning Management solutions to medium and large-sized companies to help them effectively educate and communicate with their channels. It is a proven solution used by Fortune 500 companies around the world, with over a decade of performance and reliability, and millions of satisfied users. Our online learning solutions are designed to specifically address a company’s critical business needs, such as channel management, product knowledge, sales training, certification and compliance training, and more. VenU Cloud Service provides complete hosting and administration services. It is a dedicated infrastructure with licensing, monitoring and management of the servers. 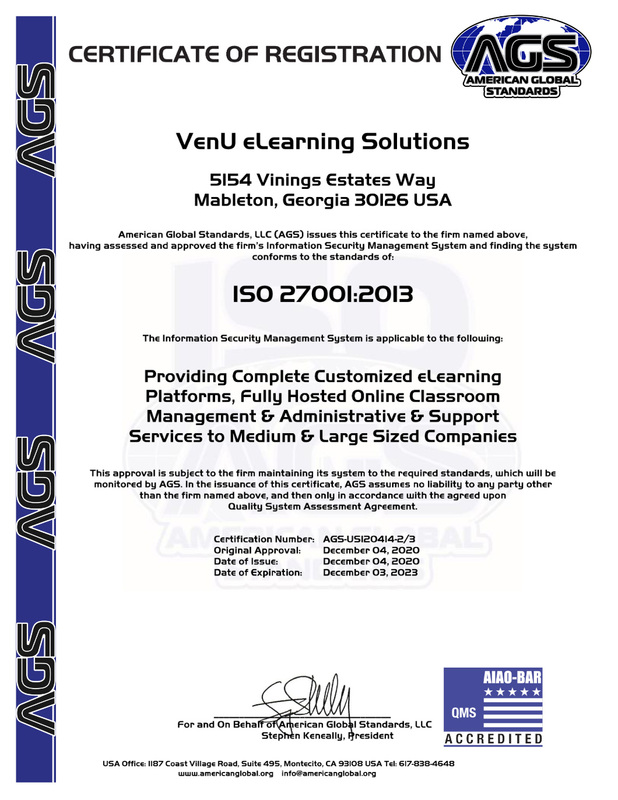 VenU operates out of geographically redundant, SSAE-16 certified world-class colocation facilities, and is ISO 9001 and 27001 certified. 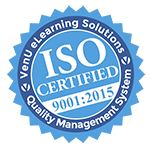 VenU, LLC, is proud to announce that it has received the International Organization for Standardization, ISO 9001:2008 certification for its Quality Management System (QMS). 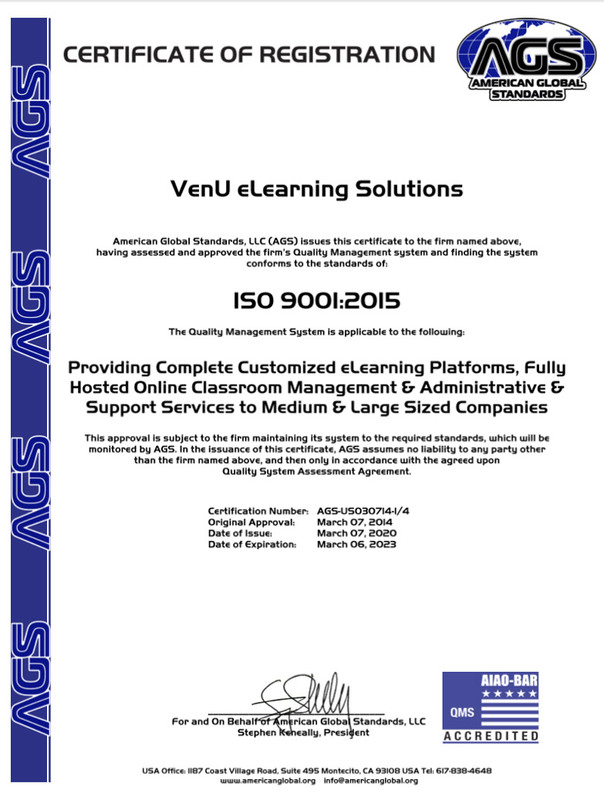 American Global Standards is accredited by the American International Accreditation Organization (AIAO), and issued VenU its ISO 9001:2008 certification. The Company has successfully completed numerous quality audits by independent third parties, client auditors, internal auditors, and management reviews. VenU passed all areas of the American Global Standards audit without exception. Why is ISO 9001 important for an eLearning company? 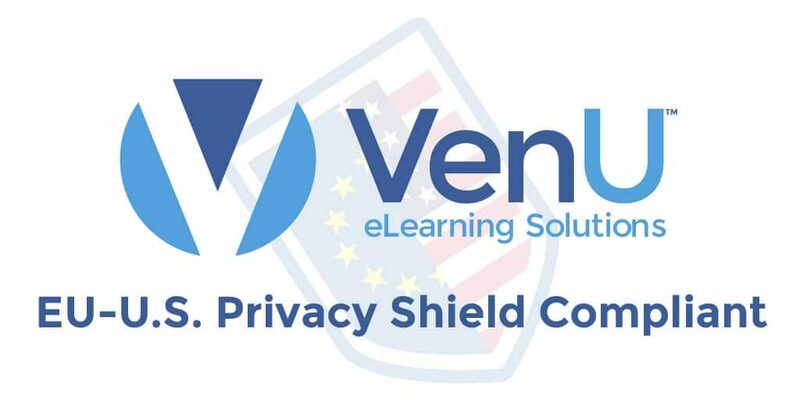 As a hosted Learning Management System (LMS) provider, VenU wants its clients to be confident and assured that their eLearning solution is secure, reliable, and optimized for performance and functionality. An ISO 9001 certification of a QMS demonstrates that a company has designed and implemented a reliable system of controls to meet the client’s demands for high quality in the products and services it provides. Our ISO 9001 certification ensures our clients that we are working within well-defined, structured processes and by doing so; a level of quality inherent in our products and services is established. How did we accomplish this? We used our own VenU LMS to implement our QMS. Document management, checklists, wikis, testing, and verification, are all implemented and centrally managed within the VenU LMS! Ensures that all business operations are defined, reviewed, and improved – on a regimented, recurring basis to continually increase quality throughout our organization. Documented Security Procedures, Quality Checklists and Continual Process Improvements ensure methodologies for safeguarding data, providing reliable disaster recovery (DR), implementing and updating security practices, and establishing a higher level of reliability and performance. ISO 9001 certification underpins VenU’s commitment to quality, its processes, and continuous improvement.